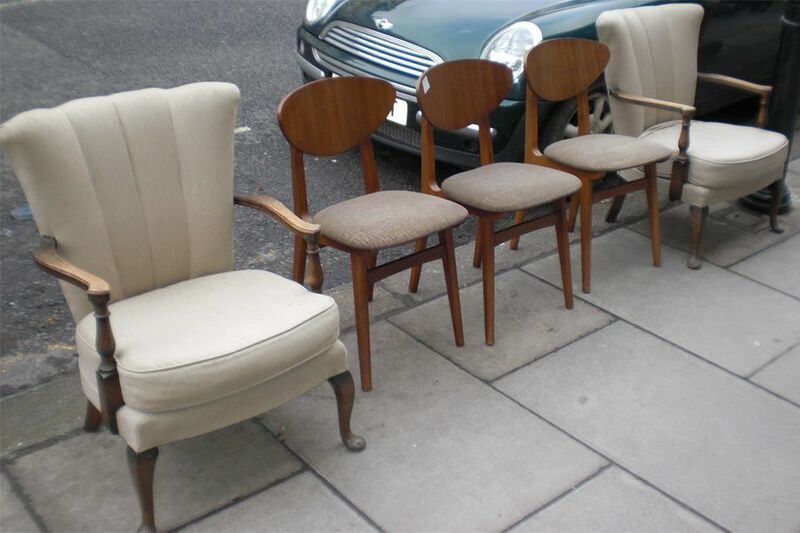 In which room should I place my leather armchair? 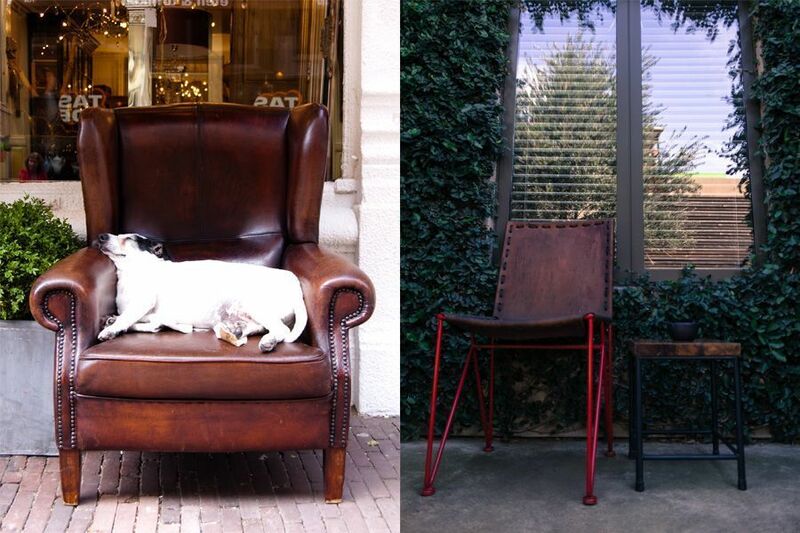 A leather armchair outside? Is that possible? You are browsing through our website and suddenly you find the perfect leather armchair, love at first sight! The most beautiful leather armchair and at great value. But are you not sure in which room to put it? 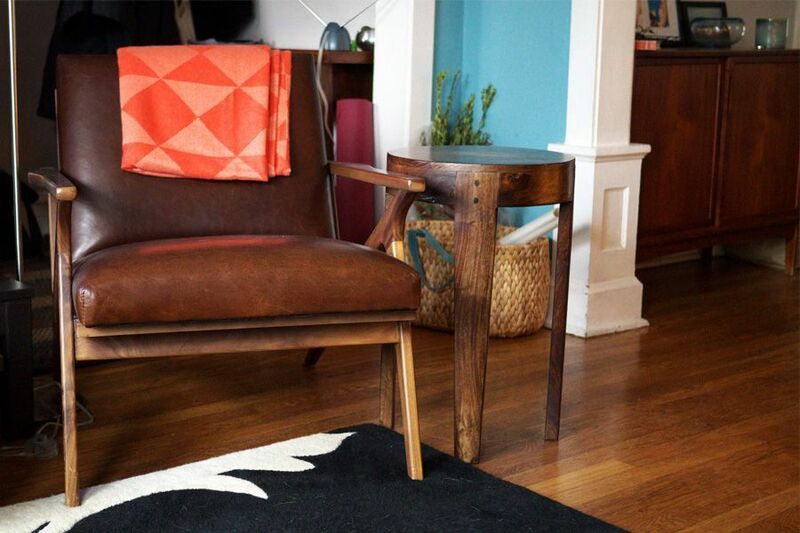 You don't know how you can combine your leather armchair with other furniture? No problem! 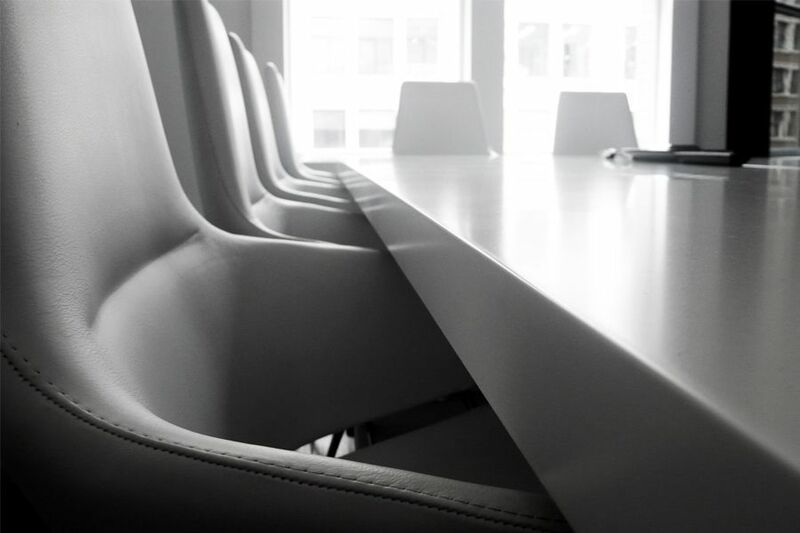 After reading this article you will want to buy many leather armchairs because you will have so many ideas of where to place them. At first you have to decide on which room you want to redecorate. 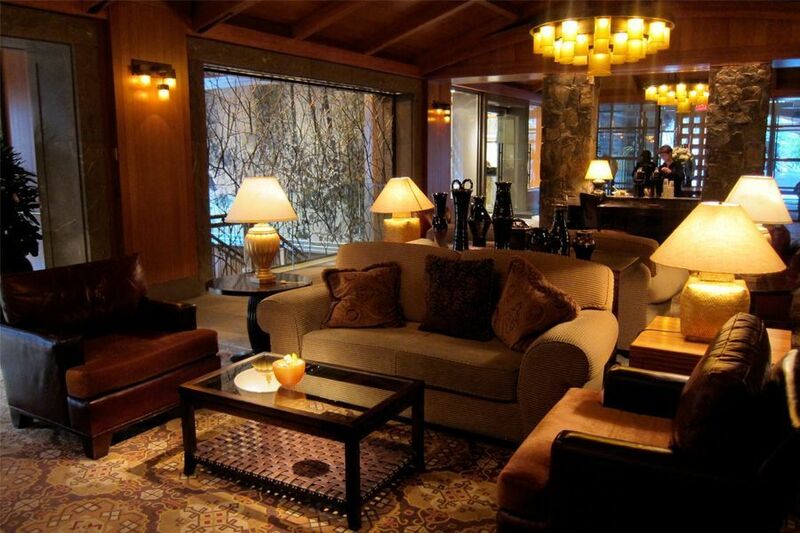 The living room is the place in each house where people get together. In a living room you can enjoy cozy evenings with the people you love and it's a great place to invite friends over for a drinks and snacks. For an additional seating accommodation a vintage leather armchair is the best bet! Besides a modern Sofa its vintage Look will be reinforced and the leather armchair will bring a certain charm into your living room. 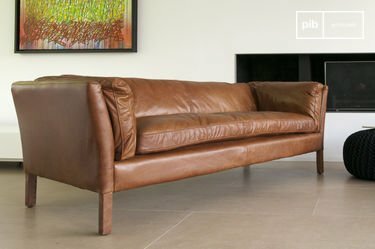 A leather armchair can be the perfect extension of a couch if both are bought in the same style. The reason why so many people like leather armchairs is its comfort. That's why I think that a leather armchairs fit perfectly around a dining table. For people who like a classic style, a leather armchair around a big wooden dining table looks amazing! 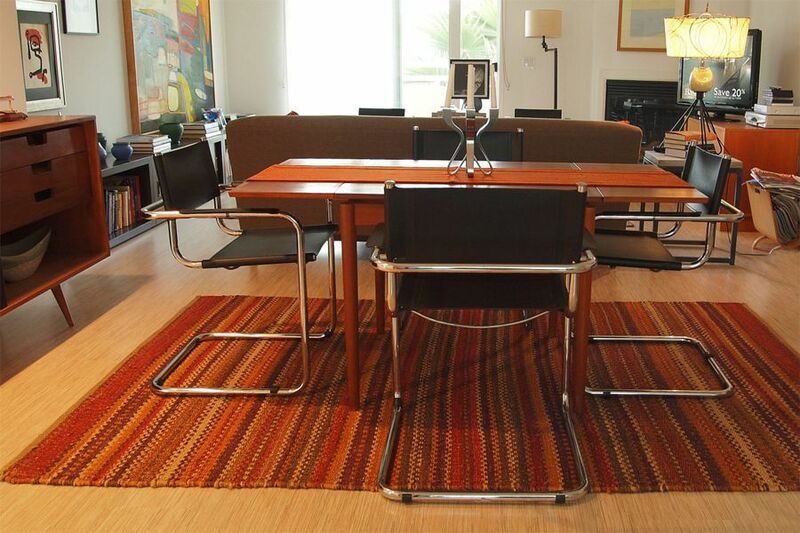 People who want a little change should try to place a few different leather armchairs around the dining table. I think a great eyecatcher is a huge leather armchair in a living room. Since leather armchairs are so comfortable you might risk a dispute with your family on who is allow to sit on it. From experience I can tell that everyone loves to sit on a comfy leather armchair . In my opinion a leather armchair should be placed in a sleeping room. No matter if you only us it as a decoration or as a chair to put your cloths that you don't want to put in the washing straight away. A leather armchair fulfills all this criteria especially the one of being a great decoration object. 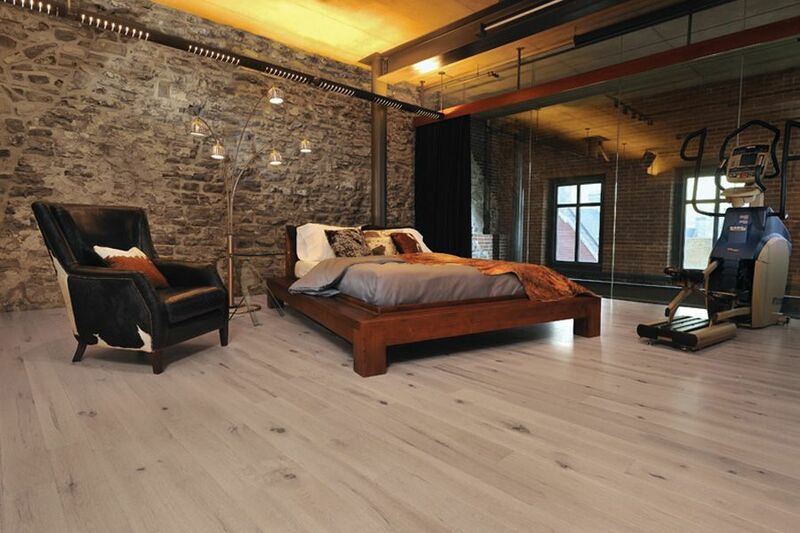 It serves as an additional living comfort in your sleeping room. It looks inviting and comfortable. The only risk is that you don't want to get up from the comfy leather chair anymore and therefore you might fall a sleep on it. YES! Excellent! 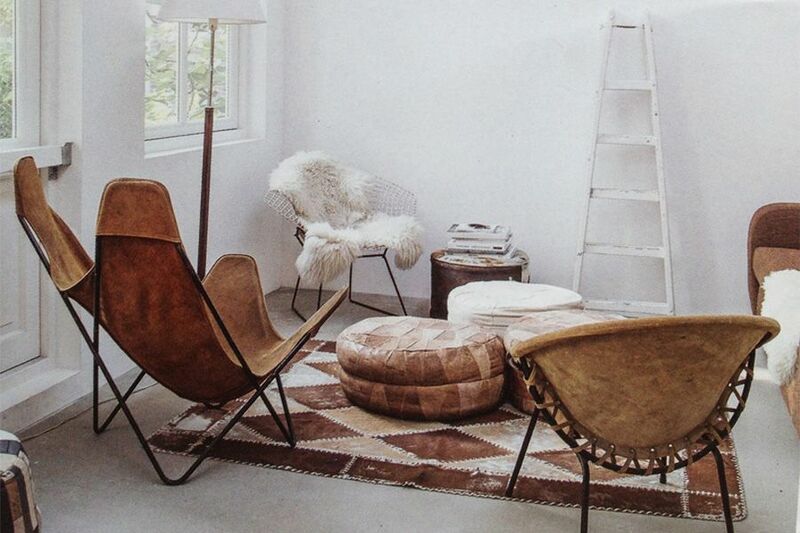 A leather armchair on a terrace or a balcony extends every living room. It creates an additional recreation room. A retro leather armchair with a small side table, candles, plantes and a glass of wine and you have the perfect atmosphere to enjoy a lovely summer night on your terrace. In winter time the leather armchair is better to be kept in your living room. If you choose a model that is not too heavy it can be easily relocated. Depending on your preferences, temperature and the weather. So now we know where to place our leather armchair. Now I'll give you some tipps which furniture fits best with a leather armchair. Because a leather armchair is most likly the main element in your interior design, you should take a more simple cupboard to go along with the armchair. Especially beautiful sideboards and cupboards emphasize the vintage Look of every leather armchair. 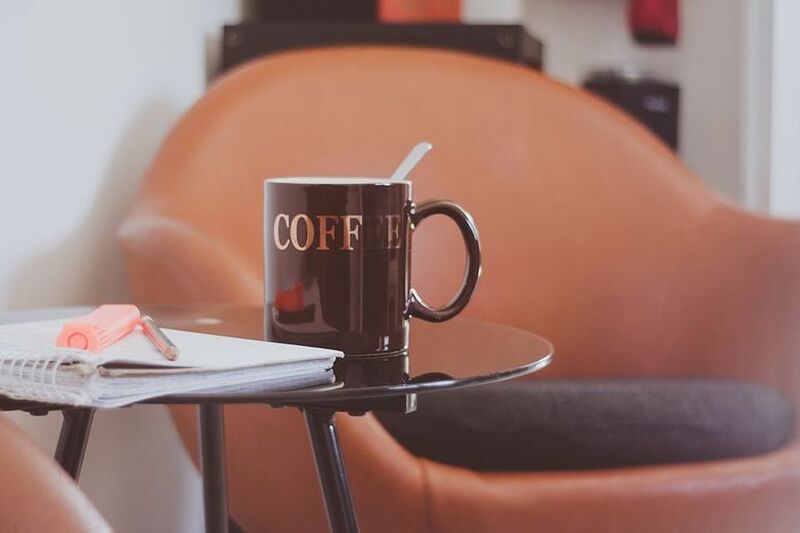 A little retro desk is very practical and stylish with a leather armchair and it can also be used as a second desk if you need more space to put your things. 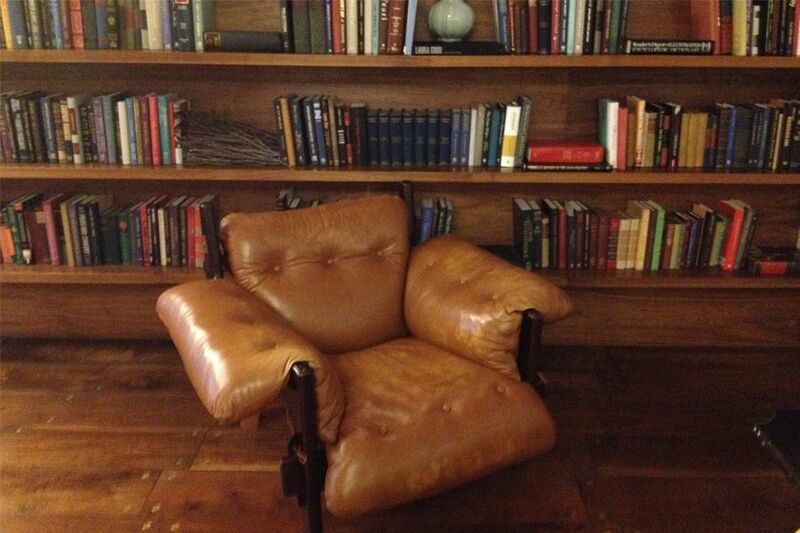 But the ideal place for a leather armchair is next to an old bookshelf with many books in it. 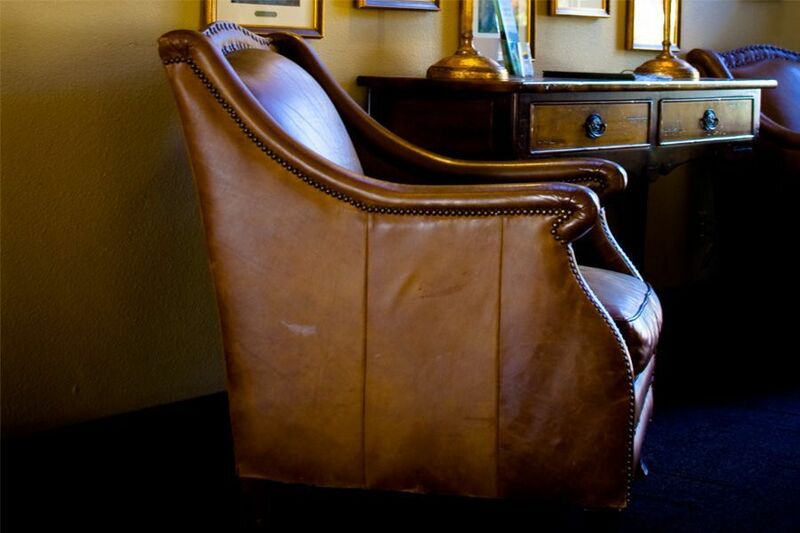 At this place the leather armchair shows to advantage: A comfortable place to read! Because a leather armchair is not always the cheapest furniture you must find other combination options. Thereby the form and color of the leather armchair is very important. 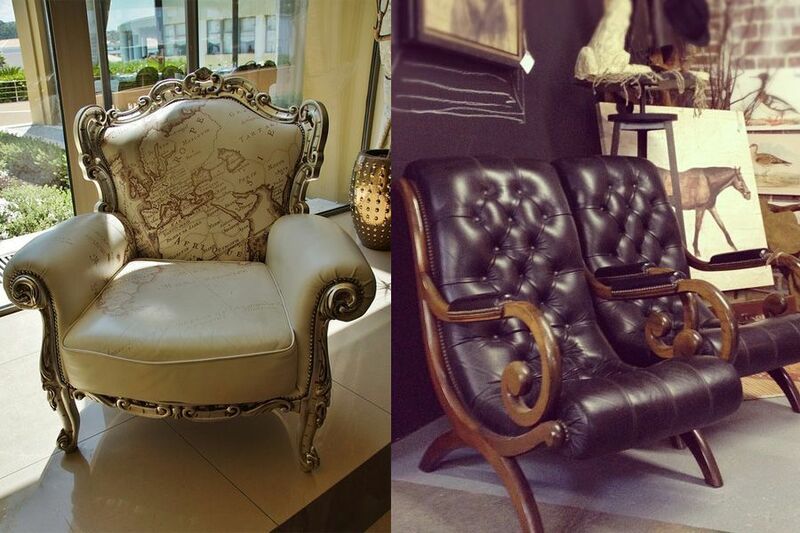 Did you buy a classic leather armchair in vintage style? Then I would advise you to invest in antique wooden chairs. 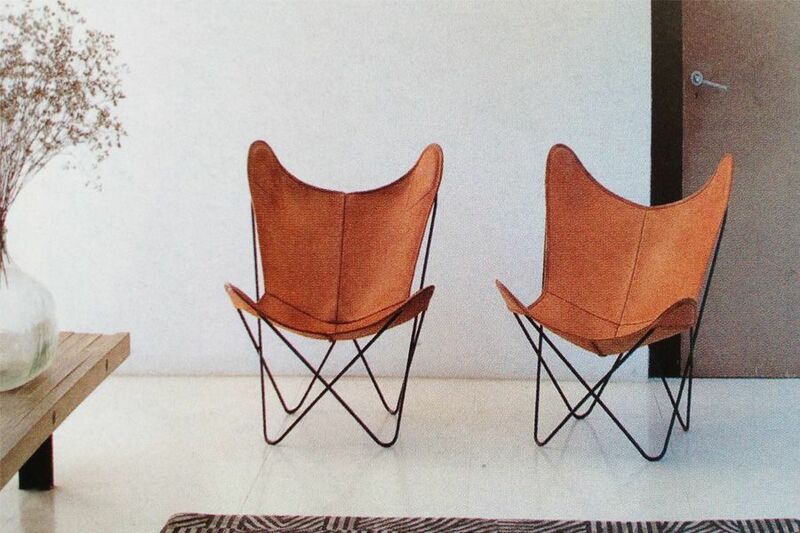 These emphasize the characteristics of this chair in a special way. 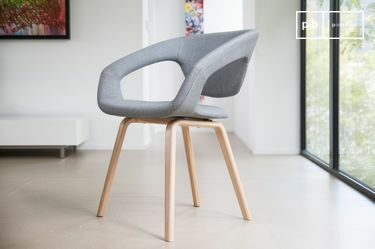 If you want to keep it more modern then you can also buy the other chairs in different colors. To avoid a chaos in your interior design you should only mix chair in the same style: Don't use an old vintage leather armchair with modern colorful chairs! That's easy: vintage lamps! With that you are always 100% right! Vintage lamps highlight the beauty of every leather armchair and underlines at the same time the vintage style in your Interior. Especially good are little reading lamps on a retro sidetable. If you need a brighter lamp you should choose a big floor lamp. Your interior is designed in your favourite industrial style and now you are scared that your leather armchair doesn't fit with it? There is no reason to be concerned. 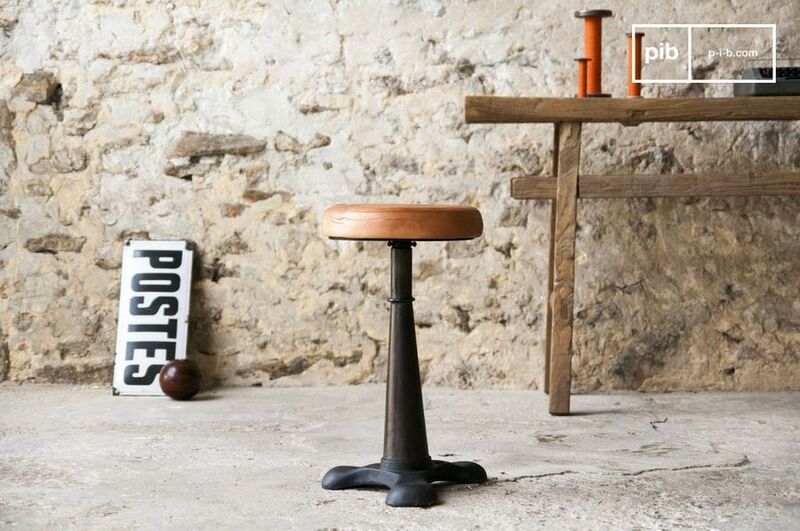 A leather chair will highlight your industrial furniture even more and you can have a wonderful mix of two different styles. My favourite combination is a beautiful old vintage chair combined with a metal deco letter, in colorful red. For the decoration of your walls metal shelves combined with the leather chair are the perfect match. 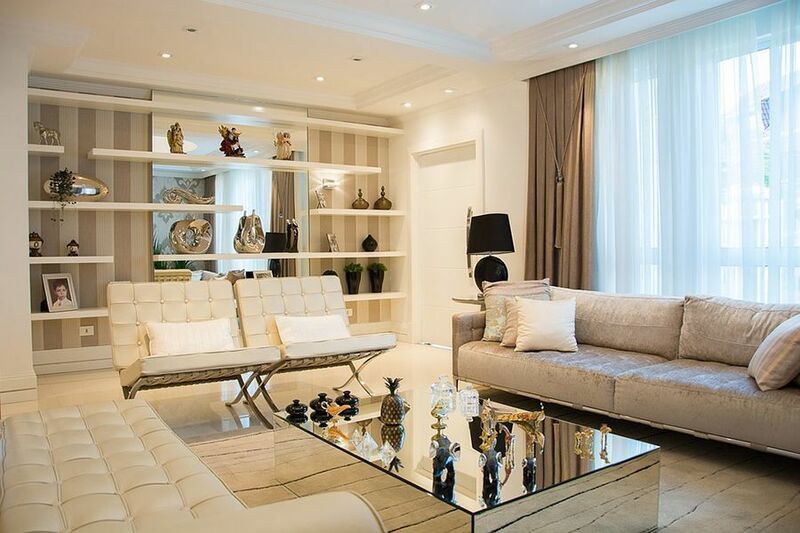 A beautiful vintage mirror brightens every room and therefore makes rooms look much bigger. That's why you can also put a leather armchair into a small room, the only thing you need is a mirror. Hereby it is important that the deco accessories have bright colors. Especially white should be used a lot. 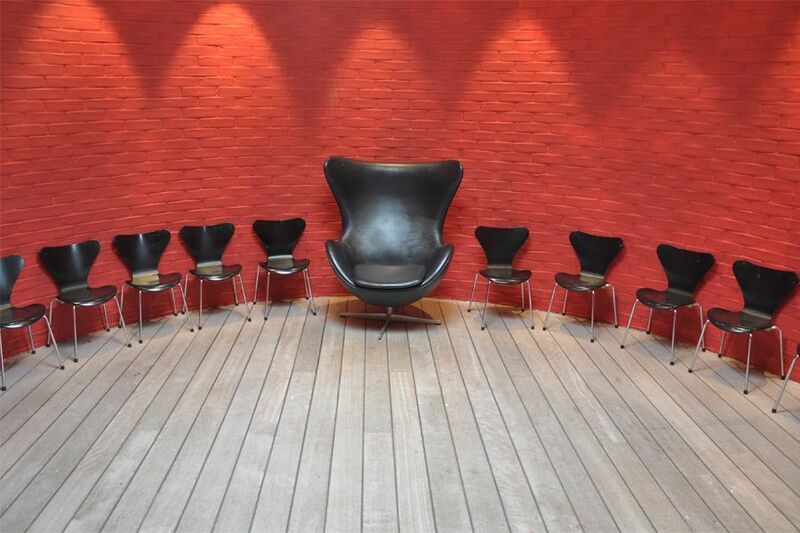 In Scandinavian design decoration accessories are very simpel and discreet, as for example a leather chair. What looks especially nice is a white vase with flowers. 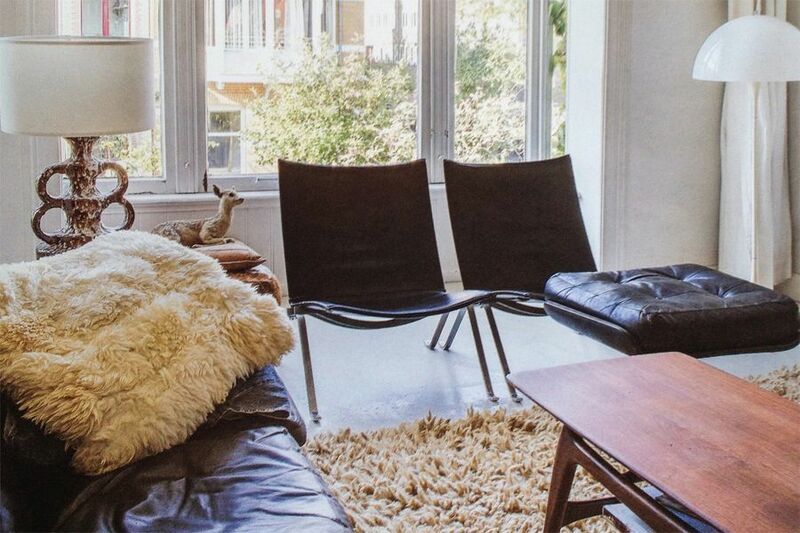 An additional deco item which makes your home very cozy is a fur, this brings some Scandinavian charm into your home. So to speak a comfortable deco element. Furthermore it can be used on top of a leather chair or as a little carpet. 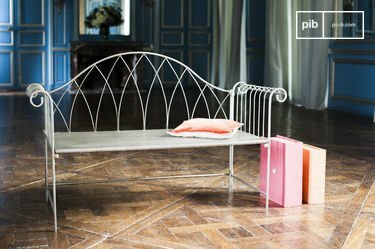 The more playful shabby chic decoration the better! The more deco accessories the better! Hereby you can also mix the various colors. 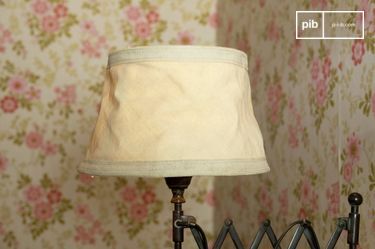 In the countryside style, lampe shades are very often used to make your home even more cushy. 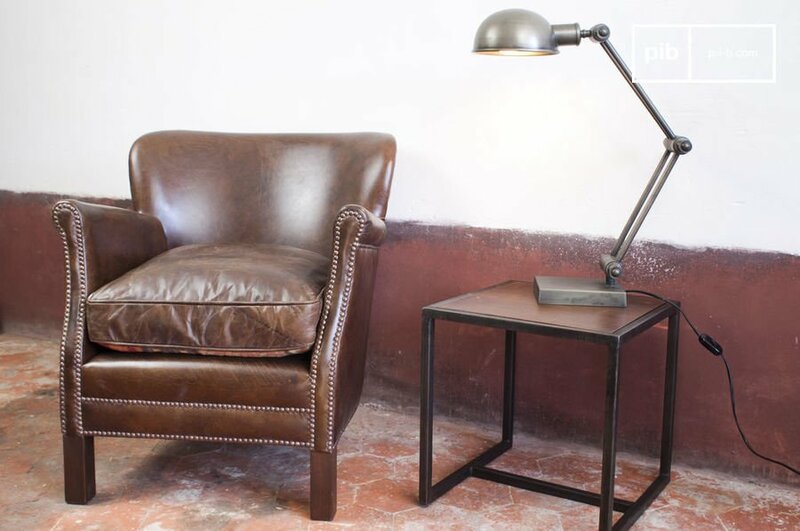 As already mentioned small lamps will put your leather armchair in the right spotlight. For the people who like their interior style in Shabby Chic design, you shouldn't miss out on candles! They underline the romantic side of this style and they fit into any room and to every type of leather chair. Now you know in which room with what kind of decoration and with what furniture you can combine your leather chair. Have I promised you too much or are you now thinking whether the leather armchair should be placed in a living room or a dining room? Just relax in your leather chair and let your imagination run free.